It's official. 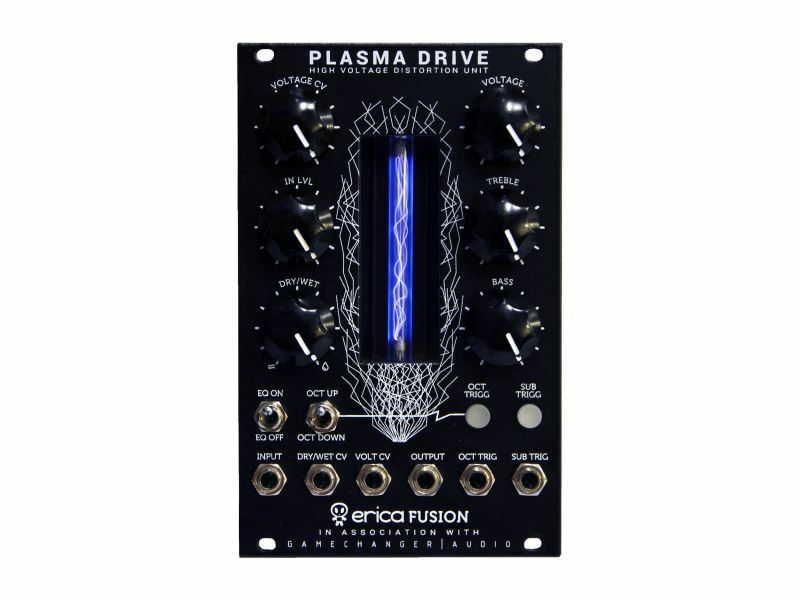 Plasma Drive is the Erica Fusion Series module developed in collaboration with Gamechanger Audio. 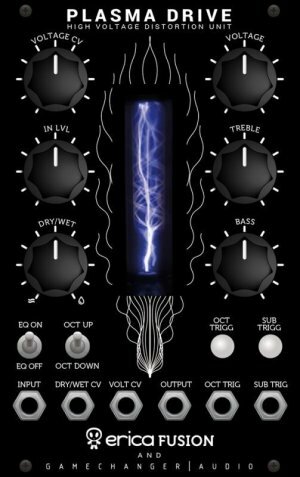 Similar as Plasma Pedal, Plasma Drive gives you a new and previously unexplored method of achieving signal clipping in 16HP. Instead of using LED circuits, transistors or vacuum tubes to produce overdrive, the Plasma Drive boosts audio signal to 3000V and transforms it into a series of continuous high-voltage discharges in a xenon-filled tube. In essence – you are playing a lightning bolt of electricity, and the electrical discharges produced by your instrument are instantly converted back into an analogue audio signal, producing a quick, responsive, and extremely heavy distortion with tons of unique character! 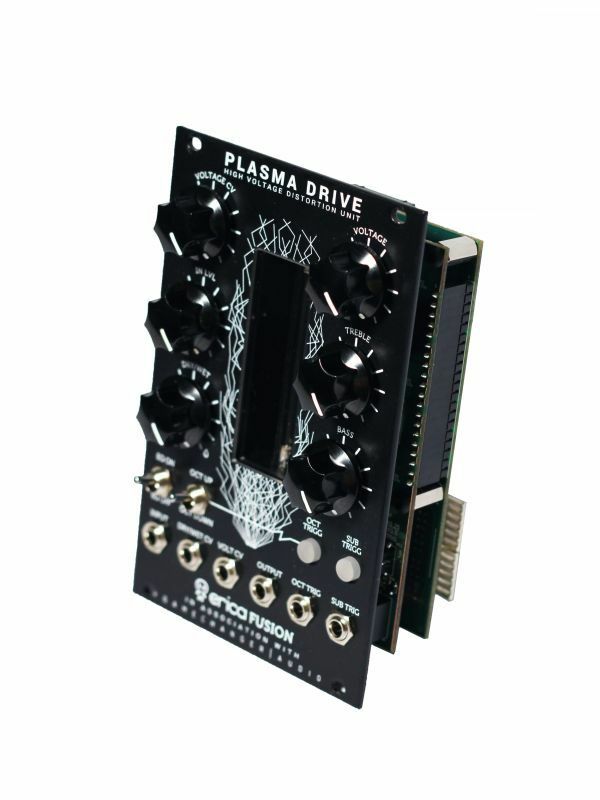 The eurorack module Plasma Drive brings sounds of the Plasma Pedal to the next level. As per eurorack standards we added CV control over distortion level and dry/wet mix, as well as octave up and 1 and 2 octaves down tracking oscillators that add even more harmonics to the original signal. Tracking oscillators can be switched on/off manually or via trigger signals. The Plasma Drive module is powered via conventional eurorack PSU ribbon cable and the power consumption is around 150mA.